Vladimir Putin’s reaction to Turkey shooting down Russian warplane: The Russian president expect Recep Tayyip Erdogan to make good on threats. The first shock came in July 2014, when Malaysian Airlines Flight MH17 was shot down over Ukrainian territory held by Russian-backed rebels, killing all 298 people on board and turning Putin into an international pariah. The next disaster occurred earlier this month, when a Russian charter plane carrying 224 people broke up over Egypt. Putin didn’t admit that a bomb had caused the crash until after the Paris attacks, defusing any domestic unhappiness about his Syria campaign by turning it into a fight against international terrorism—from a transparent attempt to prop up Syrian President Bashar al-Assad. Grisly pictures allegedly showing the dead body of one of the Russian pilots are circulating on social media. If the images prove to be authentic, they could force the Kremlin into even deeper involvement in Syria. By evening, state media were reporting that Syrian fighters had shot down a helicopter, killing one Russian soldier involved in a search-and-rescue mission for the pilots. The trauma of the Soviet Union’s fateful invasion of Afghanistan still haunts Russia. If Ukraine was supposed to be a “hybrid war” with no public acknowledgment of Russian victims, Syria was going to be Putin’s version of Desert Storm, fought with television footage of smart bombs and cruise missiles. The reason for Putin’s surprise is that Russia has come to see Erdogan as a valued partner. Turkey is the second-largest market for Siberian natural gas after Germany and was slated to be rewarded with a new pipeline, Turkish Stream, after relations soured with the European Union over Ukraine. Russia has also supplied Turkey with more than 10 percent of its tourists. Putin acknowledged Turkey’s “regional interests,” a nod to Erdogan’s underground war against ethnic Kurds and even some illegal oil purchases from ISIS on the side. In his rage, the Russian president estimated ISIS oil sales via Turkey in the tens and hundreds of millions of dollars, if not billions. The Kremlin propaganda machine picked up the new narrative without a hiccup. On Tuesday Russians learned for the first time that their favorite foreign tourist destination actually aids and abets terrorists. A red banner on the studio monitor read “stab in the back” on the Channel One evening news. Two weekends ago, Erdogan welcomed Putin at the G20 summit in Antalya with a smile, the state-run broadcaster recalled. The main reason for Erdogan’s deceit was, for once, not blamed on the Americans. Turkey’s motive for shooting down the Russian warplane, Channel One explained, was to scuttle French President François Hollande’s effort to build a broad international coalition to fight ISIS including Britain, the United States, and Russia. Hollande plans to visit Putin on Thursday, following meetings with British Prime Minister David Cameron and President Barack Obama. “The Turks are saving ISIS,” one expert told Channel One. Another talking head posited that Turkey was getting revenge for the Russian air force’s bombing of 15 ISIS oil facilities and 525 tanker trucks. Viewers were reminded that Turkey had supported Chechen rebels in their unsuccessful war of independence from Moscow two decades ago. Bashing Turkey is an old tradition in Russia. Long before the United States was even founded, Russian czars dreamed of liberating Istanbul—formerly the Eastern Orthodox capital of Constantinople—and taking control of the Turkish Straits, which connect the Black Sea to the world’s oceans. The Crimean peninsula was only one of many territories that Russian armies conquered from the shrinking Ottoman Empire. 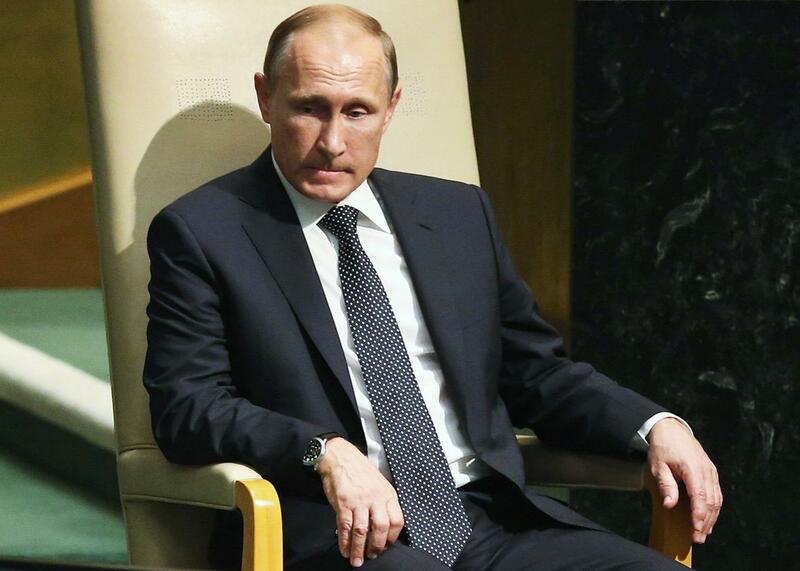 For now the Kremlin is taking a wait-and-see stance. Dmitry Peskov, the Kremlin spokesman, ruled out the possibility of a military response. But he echoed Putin’s words that negative consequences were unavoidable. A first step may be Russian Foreign Minister Sergei Lavrov’s advice to Russians to stop visiting Turkey “for touristic or any other reasons.” The next response may come from Gazprom. The day after Turkey complained about Russian air incursions in October, the state energy company halved the volumes it plans to ship through the Turkish Stream pipeline.